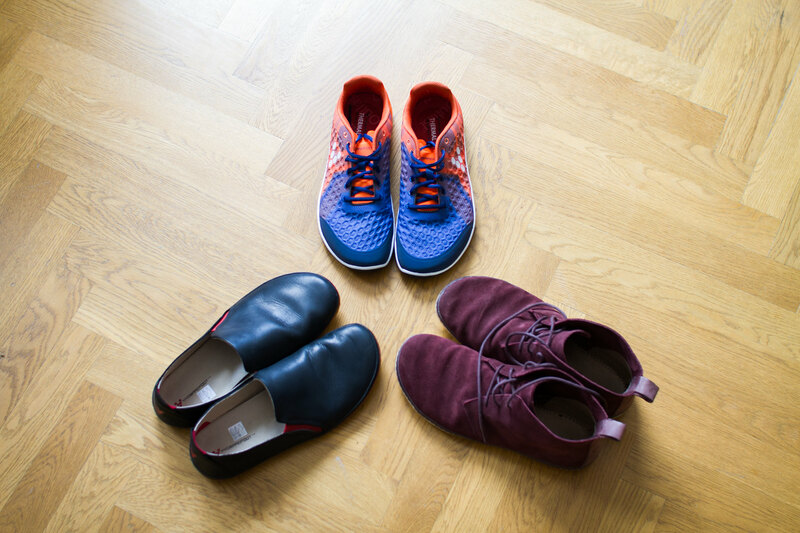 Last week I managed to get hold on some new shoes to complement the current ones in our primal shoe collection. The new addition to the primal shoe collection. The main goal was to find a new pair of office shoes and I am quite happy with having both a new pair of loafers as well as a pair of deep red suede desert boots. Having the right shoes for our modern society while still adhering to what is good for our bodies is not the easiest thing, but I feel that it will be easier with this addition at least. I also found a pair of running shoes that will be perfect for those longer walks when it starts to get too cold for using the fivefingers.